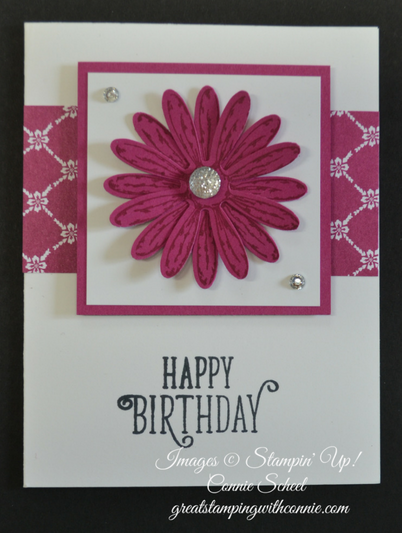 I love the intensity of Berry Burst, and how it really pops with the Whisper White card stock. A faceted gem for my flower centre, and a couple of rhinestones to add some bling, and ta da! A quick and cute card to make someone's birthday sparkle.